Decorate your home with bold motifs of flowers and leaves and give a gorgeous look to your décor. This is made in pure New Zealand wool and Cotton Material. 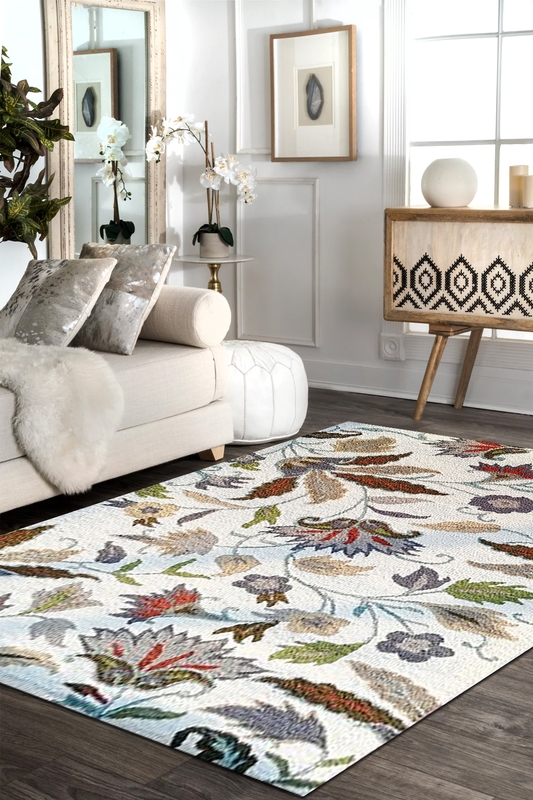 Give a soft touch to your décor by placing this beautiful carpet on your room surface. This stunning handmade carpet is a hand-tufted carpet which has taken about 2-3 months to make. The warp is in cotton and weft is in pure New Zealand wool and cotton material. The ground of this carpet is in light orange color and contains floral pattern in grey and white color.